The E46 M3 is one of the most classically beautiful cars that BMW has ever produced. Go ahead and disagree; you are wrong. No, it hasn’t yet joined the art museum permanent collection like the Movado Museum Watch, but BMW got everything so right with this iteration of the M3; the size, the proportions, the subtle aggression. And among the best color combinations for the E46 M3 is Carbon Black over Cinnamon leather. Exquisite. The face/rear-lifted 2003.5+ cars also benefited from the very cool LED tail lights (ironically, many new 2018 BMWs do not have LED taillights). With manual seats and the super rare (and super awesome) slicktop, this 2003 Carbon Black M3 slicktop for sale on Bring A Trailer is one of the finest we’ve ever seen. And at only 38,000 miles, this one looks nearly factory fresh. Hurry, though; the auction ends in 20 hours, and the price is already nearing $30,000. Still a bargain in our book. 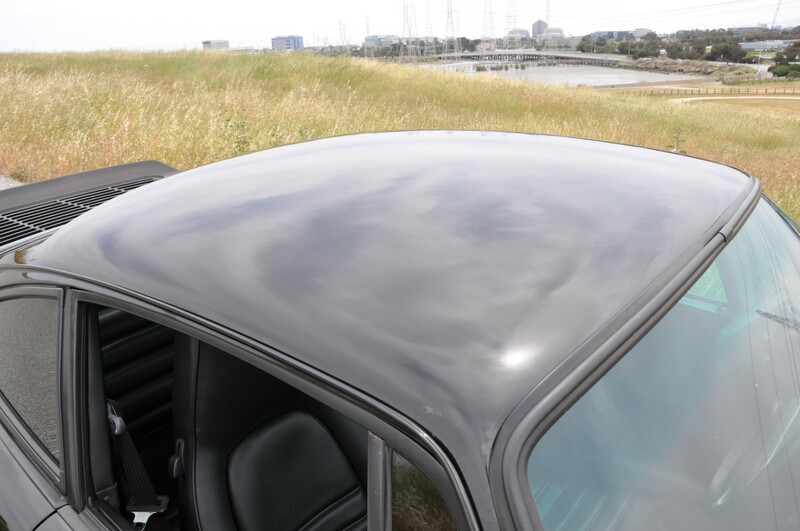 The non-GT 996 Porsche 911 came standard in the US with a sunroof, much to the chagrin of slicktopians. Legend has it that a slicktop could not even be special ordered. This 2000 Carrera in Tempe Arizona seems to disprove the myth, but it is an extremely rare example. This car was clearly special ordered, as it has a very cool spec: slicktop, sport chassis, full leather, stability management (an option in 2000), Hi-fi stereo, and painted rear console in exterior color. Speaking of exterior color, it is finished in Ocean Blue metallic, which is one of the most beautiful modern blues in the Porsche palette. The ravages of depreciation have made this special Porsche, with less than 100,000 miles a good deal (if everything checks out) at the asking price of $16,900. Another positive is it’s west-coast exclusive life – no worries of corrosion. Negatives are that one accident is reported early in its life, no mention of IMS replacement or service history, and it has had quite a few owners. This 996 could make some slicktopia a very happy camper. Slicktop G-body Carreras (1974-1989) are rare as a sharknado, so finding two in a week is somewhere around the odds of a sharkicane. 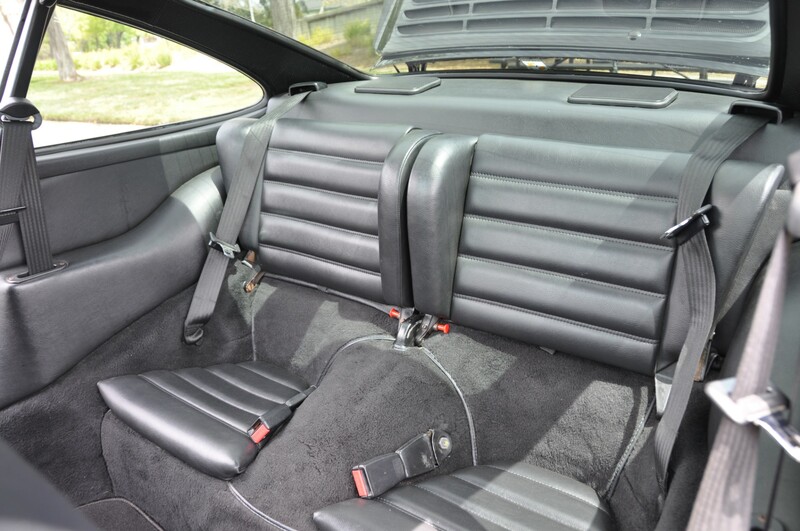 This 1988 Porsche 911 Carrera slicktop is a ROW (“rest of world” – subtle German recognition of US market dominance re the 911) example that was recently imported from Japan. The ROW cars had more power, limited slip differential, lower ride height, and a special aero package, so this is a special car. What makes it super special is the fact that it’s a slicktop! Finished in beautiful Marine Blue over black leather interior, this Carrera has only 55,000 miles on the clock and looks super fresh. This car is being auctioned on Bring-a-Trailer, and bidding has reached $38,000. As a ROW car, it apparently can’t be registered in California, so the rest of the country has a decent shot at a stunning and special Porsche. Act fast because the auction ends today! This E46 M3 slicktop has been prepped as a street and track car, with a number of performance upgrades that are aimed at enhancing the driving experience without changing the character of the E46 M3. For example, money was spent on beautiful Recaro seats and expensive cooling system improvements and not on a supercharger and carbon fiber hood. That restrain to focus on more subtle improvements is rare and laudable. This should be a great driving M3. This slicktop SMG M3 has 112,000 miles, is finished in silver grey over black, and is a southern California car owned by a BMW enthusiast who looks to have very carefully maintained it. Listed for $21,000 on Rennlist. The 1980’s impact-bumper Porsche 911 Carrera is a classic. With a largely bulletproof 3.2 liter air-cooled flat-six engine and Bosch electronic fuel injection, the 1984-1989 Carrera that followed the sometimes finicky 1978-83 SC (and preceded the much more modern 964) is a rugged, reliable, and simple sports car that feels older than its years (after all, the 911’s body, chassis, and interior were largely unchanged 1974-1989). 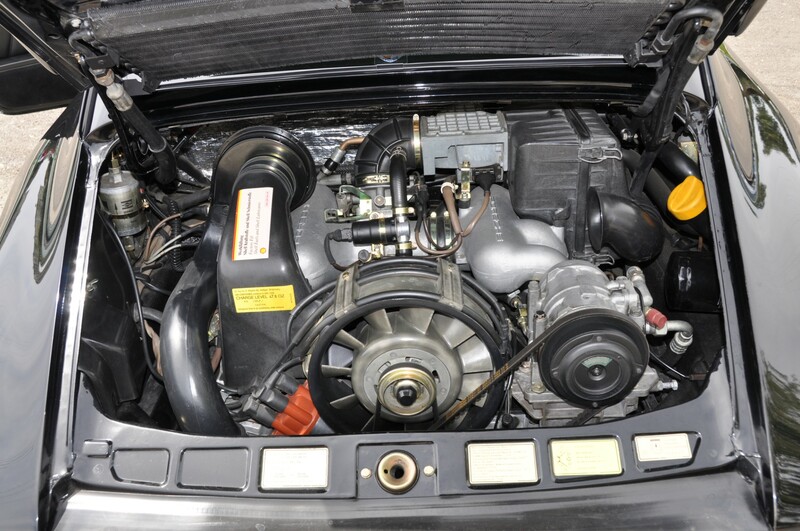 The 3.2 G-body Carreras had manual transmissions (tried-and-true 915 gearbox with cable clutch from 1984-1986, and a slicker G50 gearbox with hydraulic clutch from 1987-1989), manual steering, manual locks, no ABS or traction control, and a climate control system as complex as it was ineffectual. Porsche also inexplicably fitted nearly every one with a mail-slot sized sunroof; the mole on Marilyn’s face, as it were. But not this one. This beautiful 1988 Porsche 911 Carrera Coupe for sale on Bring-a-Trailer is a rare and fabulous slicktop with equally fantastic Carrera side-script. With 125k miles and a recent engine rebuild, the G50 transmission, and classic black over black colors, this Carrera looks to be a perfect candidate for a driver that will appreciate as you appreciate it. With one day left, the auction stands at a market-reasonable $45,000. For a fun review and buyer’s guide, check out this Classic & Sports Car article. For an interesting period review of the 1988 Porsche 911, check out this Road & Track/Motorweek review. The E36 3-series BMW is coming into its own as a classic German sports sedan/coupe. This 323is slicktop looks like it might be a nice way to get into the E36 world. A turbine-smooth inline-6 engine, 96,000 miles, attentive owner, lots of recent maintenance, and a slicktop roof add up to a very nice car if everything checks out. The only negative is the automatic transmission. For more on the 323, check out this review by Richard Hammond (of TopGear fame), or this Motorweek review.